We created the Bike Index to provide a useable national bike registry. We started by connecting with biking communities — and their enthusiasm has been amazing. The encouragement we received during our West Coast Tour strengthened our commitment to improving the Index; bike shops and communities everywhere were excited about having an easy, national bicycle registration system. With the support of bike shops and bike communities behind us, our next step is to start providing local governments and law enforcement agencies with the ability to use the Bike Index to return the lost and stolen bicycles they encounter. This is why we are proud to announce that St. Louis is the first city to use the Bike Index as their official registry. We look forward to this exceptional opportunity to provide the St. Louis police department, city government, and citizens with a voluntary bike registration system that really works. St. Louis is a perfect first partner for the Bike Index. Mayor Slay and the City of St. Louis have a solid record of backing innovative projects and have been making great strides in creating a more bike-friendly city. St. Louis is one of the ten fastest growing cities for bike commuting in the US, and is in the midst of a rapid expansion of bikes on the road (not to mention its current climate feels tropical compared to our Chicago winter). By using St. Louis as a model, we can refine the tools we've created at the Bike Index to help police fight bike theft and return stolen bikes. 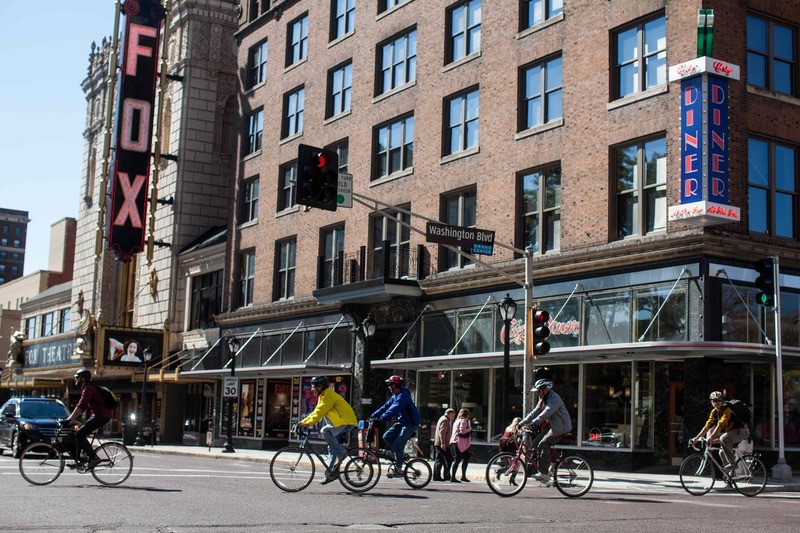 The fine leaders at Trailnet (St. Louis' bicycling, walking and public transit advocacy group) have made the process of connecting with the city as smooth as a finely-tuned bicycle. Since St. Louis has never had a working bike registration system, the Bike Index is particularly eager to provide the city with our services. Partnering with St. Louis will help us improve the Bike Index and pave the way for connecting to many more cities down the road. We're also pleased to announce that we're working with a number of additional cities to offer official, police supported Bike Index registration. We've been hard at work developing the tools and necessary integrations, so that everyone can have bike registration that works. Let's all stop bike theft together!